Exclusive Reboot Illinois Poll: Who's Leading in the Race to Replace Dan Rutherford? With Illinois State Treasurer Dan Rutherford running unsuccessfully for governor, the treasurer's race in Illinois is the only statewide race this year without an incumbent running. 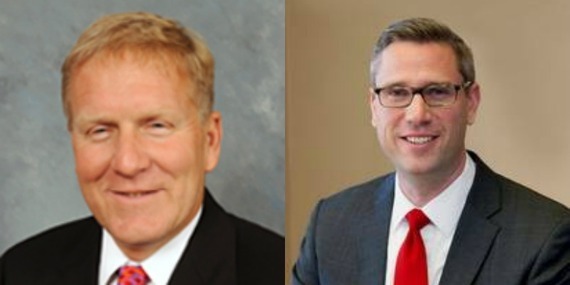 State Rep. Tom Cross, R-Oswego, and state Sen. Michael Frerichs, D-Champaign, both are seeking to trade their legislative seats for the Illinois State Treasurer's Office in November. Cross, 55, has served in the Illinois House since 1993, including more than a decade as House Republican Leader (2002-2013). Frerichs, 40, was elected to his east-central Illinois Senate district in 2006. Today, a Reboot Illinois poll, conducted June 17 by We Ask America, shows one of those candidates with a 7-point lead but with a large contingent of respondents undecided. Find out which candidate has the early lead by checking out the poll results on our website. As a reminder, we came out with an exclusive poll of the governor's race last week, and some of the numbers may surprise you.